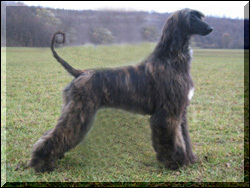 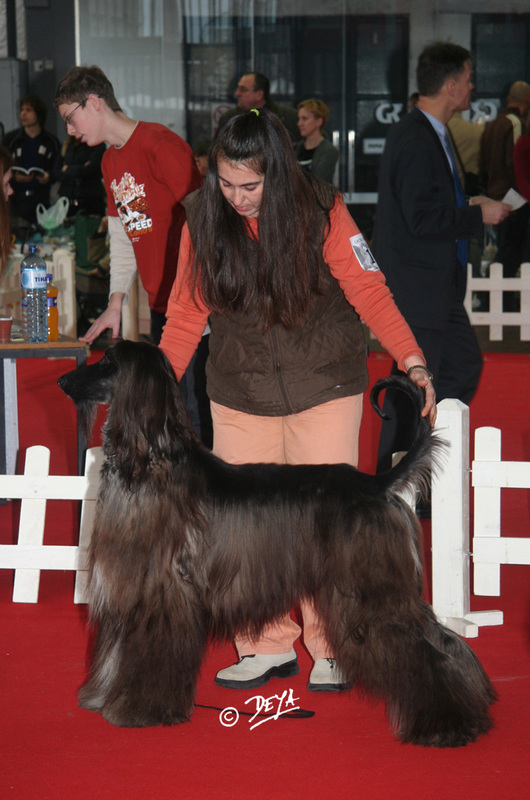 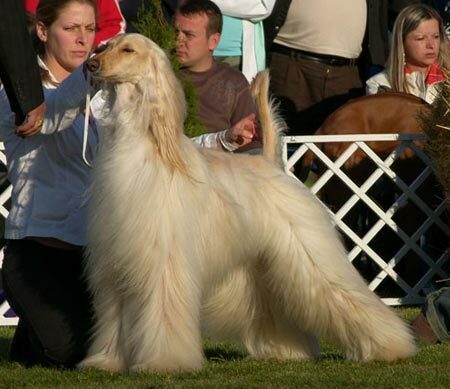 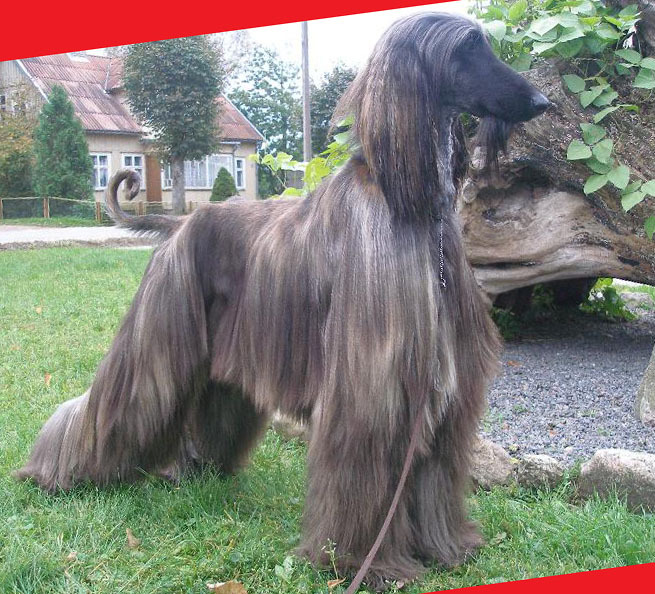 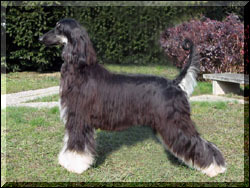 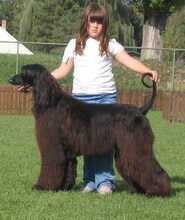 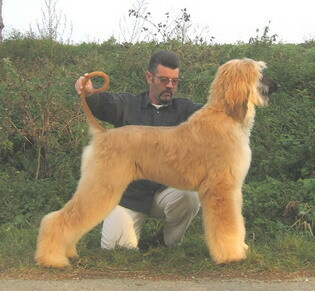 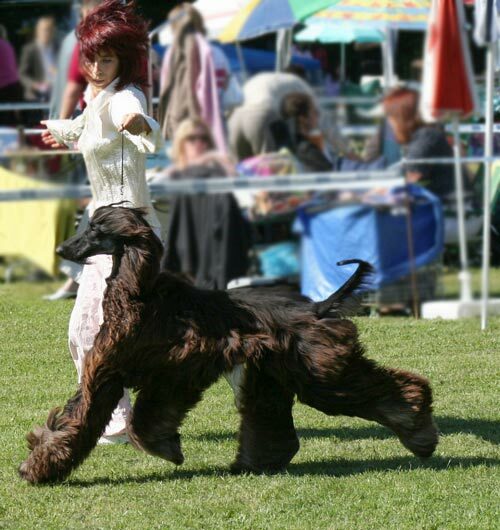 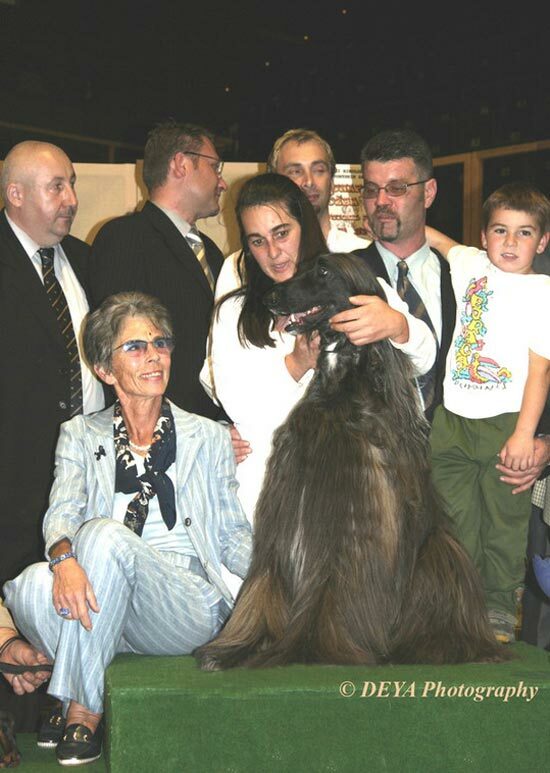 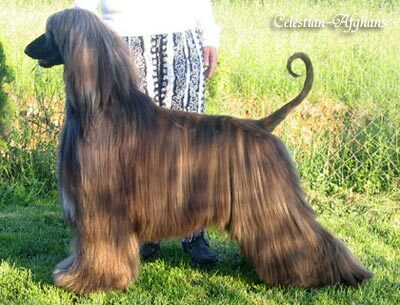 Celestian Love is In The Air - "Darko"
was awarded BOB at International Show in Zagreb on 24 0f Nov.2007, and now he is INTERNATIONAL CHAMPION besides Hungaria Grand Champion, Serbian Champion, Hungaria Junior Champion, Hungarian Top Young Afghan Male 2005. 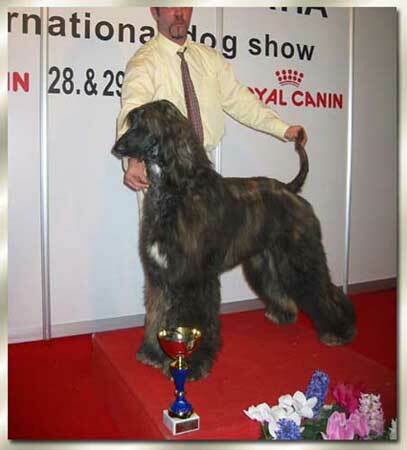 Darko is the Top afghan male 2007, and the Top Afghan 2007 in Hungary !!!!!! 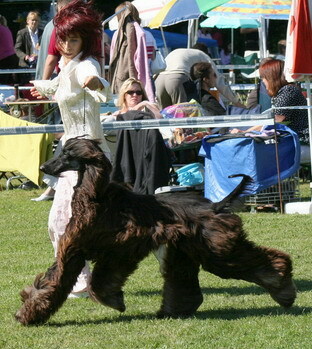 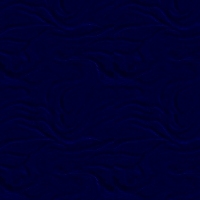 Celestian Blue Moon - "Boka"
won his another BIS - Sl. 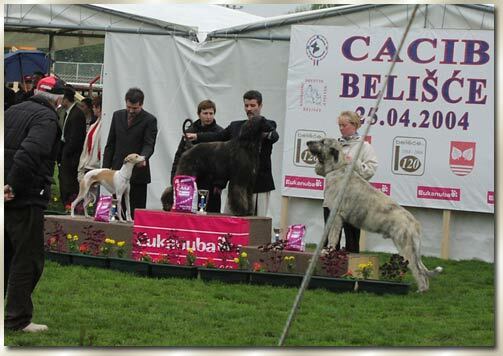 Brod, and also second R.BIS at CACIB Novi Sad 13.10.2007.
at the moment we have his puppies with Karakush Goes Celestian - "Miri Miri". 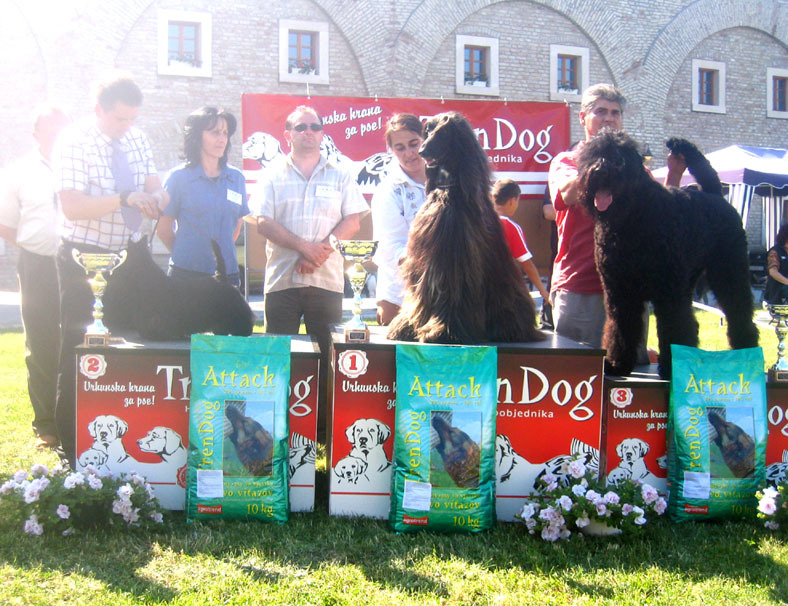 We want to say a big big "Thank you" to all the owners of our Celestian kids for taking such a good care and presenting our dogs !!!!!!!!!!!!!! 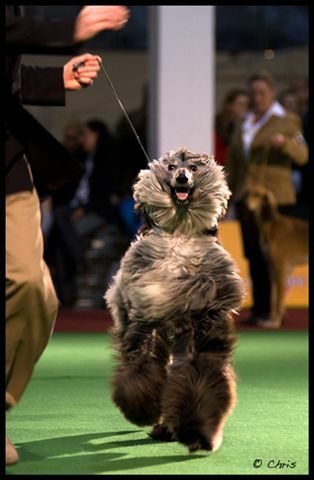 Also Thanks to all the judges !!!!!!!!!!!!! 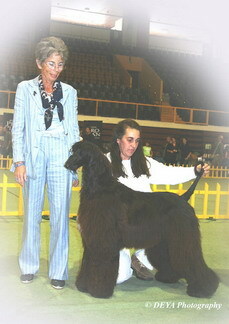 --3 x CACIB , 4 x CAC , 2 x BOB , 2 x BIG , and BIS in Split under judge Mrs. L.Mach. 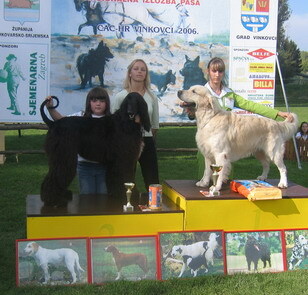 "Rodrigo" finished Croatian , Slovenian and Hungarian Junior Champion. 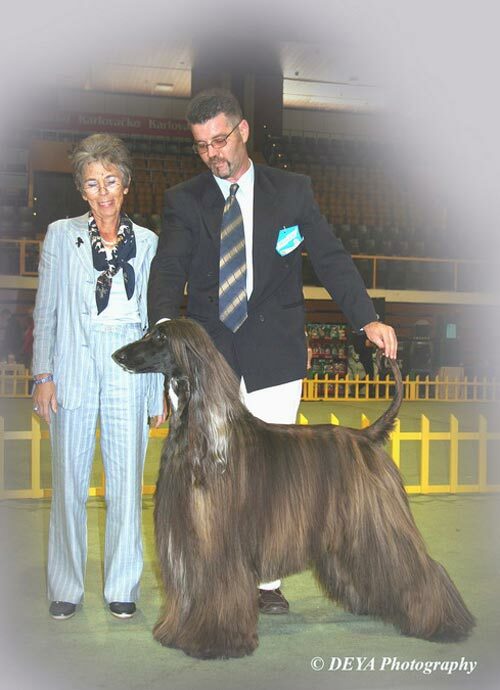 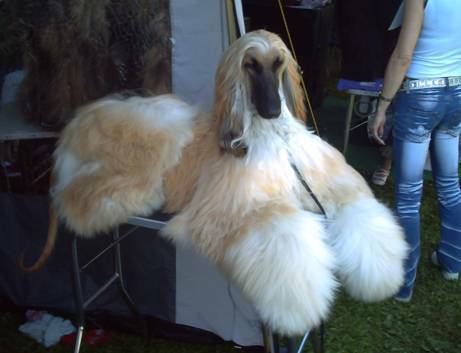 Congratulations goes to his owner Silvia Lehner also for a great win at Slovenian sighthound Speciality show, where he finished like a BOB winner, under judge Michael Forte. 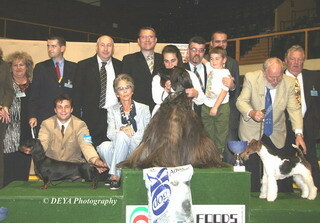 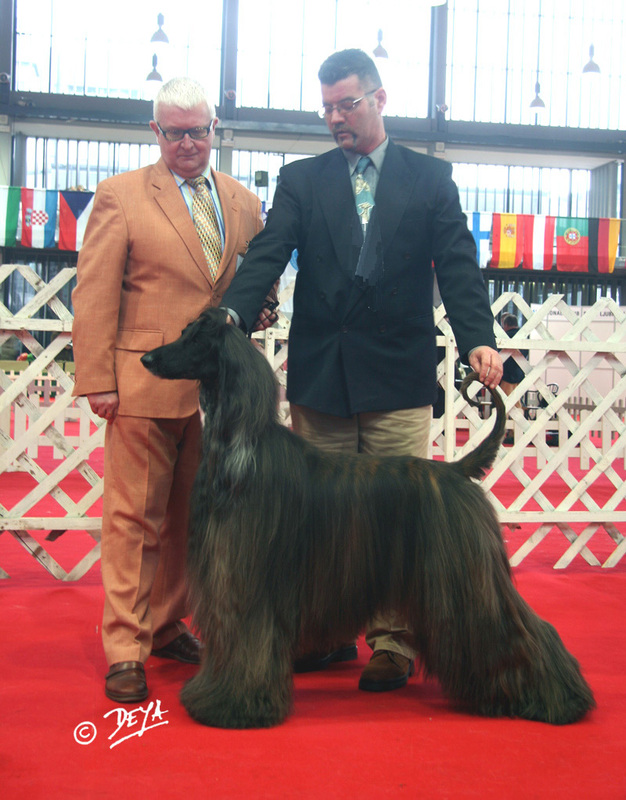 Also two weeks ago at the International Show in Zadar Andy was awarded CAC, CACIB, under judge: D. Reicher. 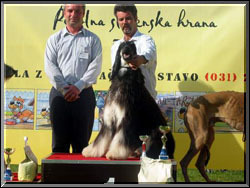 Croatian Junior Champion - Karakush And U Know It " Andy "
Karakush And U Know It - "Andy"